this item is great for leftovers, soups and children find it easy to use and carry to the table. jUST WHAT I HAVE BEEN LOOKING FOR MY CHILI AND SOUP TO HEAT IN THE MICROWAVE. I use this product to heat veggies i nthe microwave plus I also use them to cut up a cup of watermelon for a snack.The are good for all uses. Very nice bowls. Nice size, lids fit nicely, and stack well on top of each other. Much nicer than ones I previously purchased that were much more expensive. Can be used to drink from as a cup or used for a little soup or something light. Can store small leftovers in it. 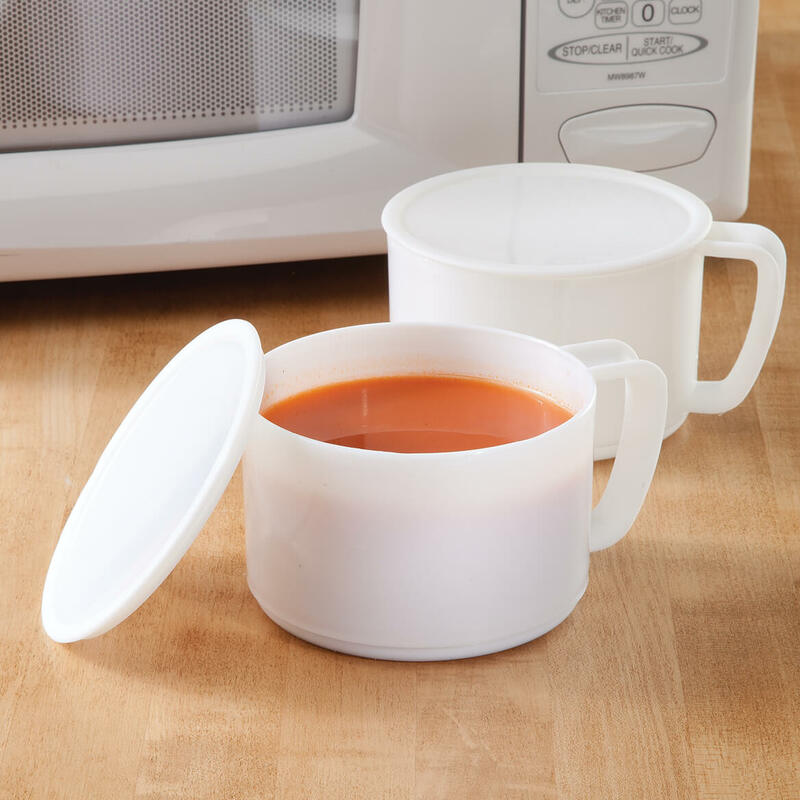 Goes good in the microwave & has its own lid to stop overflows & has a handle to pick it up from the microwave. Use it for small snacks if needed. I love them & would buy again. Good for a small child's cereal snack also with milk or without the milk. Having the lid for it was the selling point for me. If you need to refrigerate anything in it, the lid would really come in handy for that. Lids mean no refridgerator mess & I like that. I do highly recommend this from my experience with them. Love it for soup and other foods. Especially for portion control. Easy holding and handle is great. Handles hurt arthritic fingers. Difficult to stack - do not balance well in cupboard. BUT, BOUGHT 2ND SET. USE THEM EVERY DAY! big enough for a bowl of soup or chili - cover fits well for stacking. My only gripe with these cups is that the lids don't fit snugly. Which isn't important if all you use them for is as intended-to heat soup. However, I realized they were an excellent way to both heat and store when the quantity is more than I can eat in one meal. I've had at least two of them in use in any given week for that reason. The construction is solid, and so far I haven't noticed they've absorbed the coloring used in some tomato-based products. Highly recommended. I already have one set of these bowls that I purchased from Walter Drake. 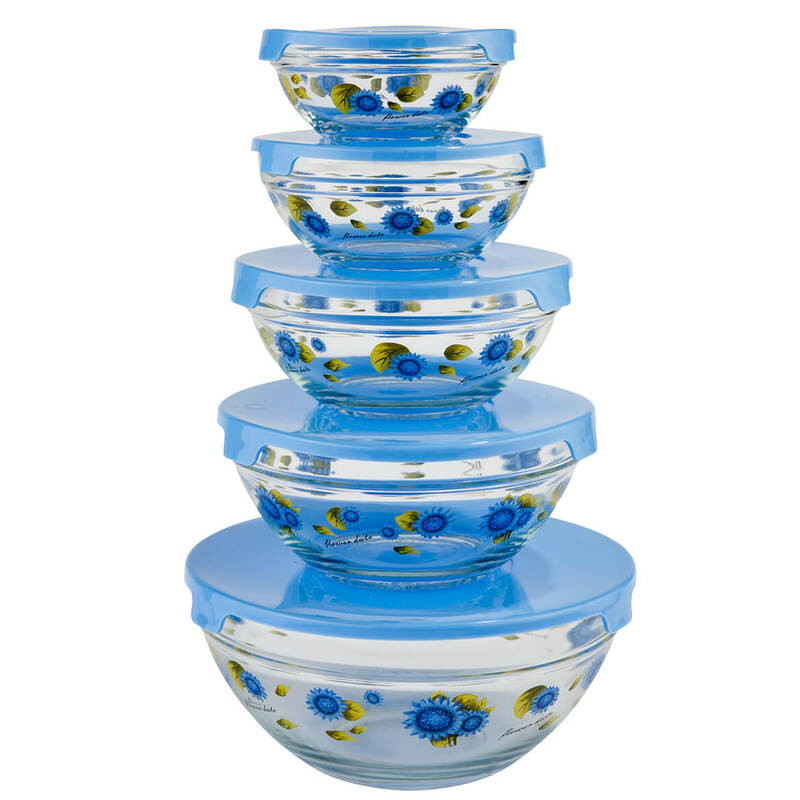 I really like these bowls, so I am back buying a second set for our camper. Although the lids do not fit snug on the bowls, they come in handy placing them on top of the bowl when reheating items in the microwave. They did stain when reheating tomato based foods, but a little bleach took care of that. We use these bowls for most everything and they are the first to be grabbed from the cupboard. I purchased this especially to make instant oatmeal. It exploded in the oven with the lid coming off. There were no instructions for use. I still needed to use paper towels to prevent spattering in the microwave. I liked these bowls; use them every day. The only drawback was the lids did not fit snug. Of course, I'm not sure they were intended to do that. I did have one that got stained with tomato soup so I used that particular bowl for tomato-based foods so the rest of the set doesn't get stained. I like soup in a can, with this cup I could heat it. I like the handle and the lid and that they are microwavable. I microwave a lot of items for me, only, so this works for soup, left overs, and doggie bags. The lid was a SELLER! I love these kind of mugs for the family. We have a few mugs that we race to get at. I believe they will serve their purpose perfectly. I have used these before and they work wonderfully. I only have one bowl to use for soups. I need another one that is unbreakable. This is the right size for me and I wanted a mug with a cover! Good to use for kids, and the lids cut down on spatter. Had a set of 4 from another company that I bought years ago-they worked well but finally became too worn to use. Hoping these will be as good. Can make soup neatly in his dorm room. Husband saw them--thought they'd be handy !! I bought a set years ago and they wore out so now I found them again and ordered 2 sets. They are not just for soups but make great ice cream sundae dishes. Holds a generous 20 oz. Spatterproof lid doubles as a coaster. I think I will love them. the color and the lids; my second set. I have ordered this item before. 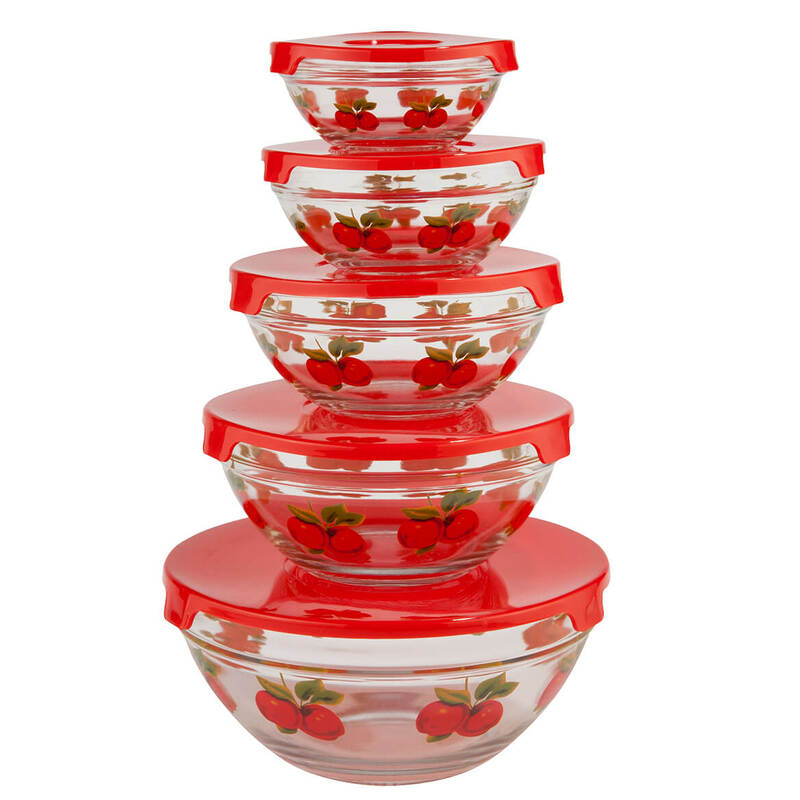 It can be used for cooking and storage and the bowls hold a large amount. I recommend purchasing this item. I like the lid. The reviews are good. Expect these will do well to replace my very old and scratched microwave dish. Got some also for the grandchildren. For my elderly father-in-law. He lives with us and he makes soup, a lot. I thought these bowls with handles would be easier for him to use than regular bowls. Plus he can cover the bowl so it doesn't splatter all over my microwave. Have similar that need to be thrown away. Used these for 20 years. Just getting new ones. I love microwaveable soup and sauce dishes. You can never have enough. I was convinced by the lids. Looked like it would work well for lunches at work. It just what I need. To heat and eat soups/leftovers in easy container. Replacement for very old set no longer usabe. for re-heating small quantities foods!! what is the material for these microwable bowls ? I read 'plastic' Do you have other material as 'plastic' material can leach out chemicals during microwaving. BEST ANSWER: Thank you for your question. We do not have a different style microwaveable bowls. These are BPA free. We hope this information will be of help to you. Do they blister when heating fatty foods? BEST ANSWER: Have not heated any fatty foods, so I do not know. Have used the bowls for just a few weeks; no problems thus far. BEST ANSWER: These bowls are plastic. I like them for heating soup and other canned food. The lids do not always fit tightly but I don't mind. These bowls/cups are plastic. My Mom had a stroke and loves these because they have a handle. The microwave bowl with lid set of 4 is plastic. This reads "set of 4." Does this mean 4 total pieces (2 bowls & 2 lids), or is this a set of 4 bowls with accompanying lids? 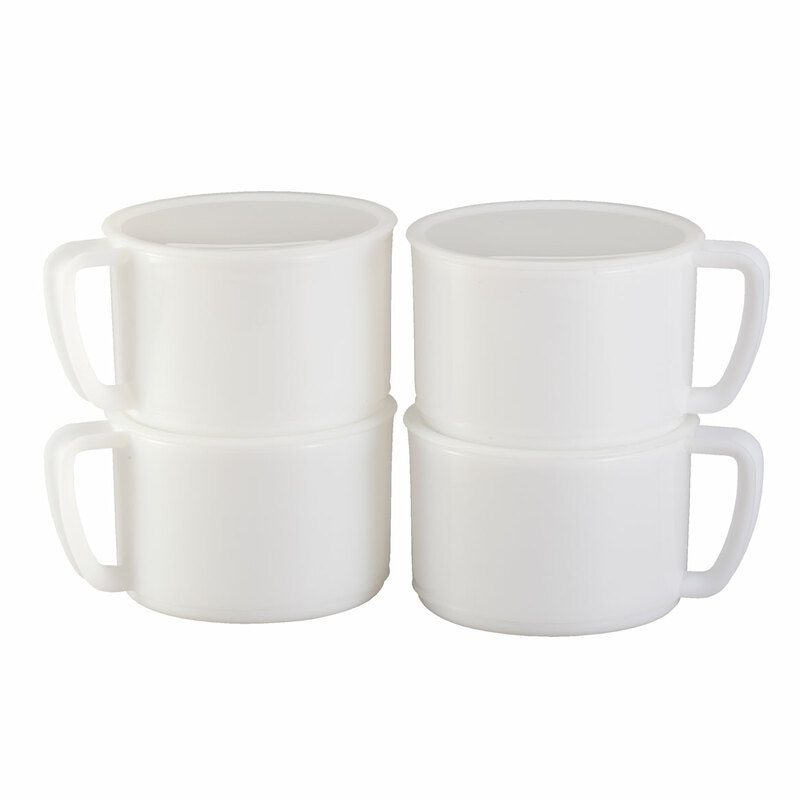 Two mugs with 2 lids is two sets.